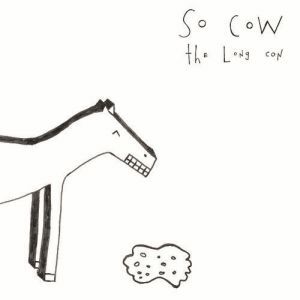 SO COW – The Long Con LP: Goner Records has just announced a new LP from these Irish punks. Their fourth LP, The Long Con, contains a wholesome mix of clean pop-punk, grungy garage and fuzzy punk rock. Each sound they’re after is distinctly heard as the LP unfolds, and it’s all spelled out for you in their newly released single “Barry Richardson.” Listen to the track now, and sit tight for Goner Records to release the LP on September 16th. THE GOTOBEDS – Poor People Are Revolting LP: The debut album for this Pittsburgh-based band comes from 12XU Records in Austin, TX (a label owned and operated by Gerard Cosloy). “Fast Trash” is our first true taste of the LP, which exposes us to their fast-paced, hard-hitting garage-punk sound. Melodic guitar licks are scattered within the crunch, led by Eli Kasan’s raw vocals and Tom Payne’s guitar hooks, who were both previously a part of Pittsburgh punk band Kim Phuc. 12XU releases the LP on September 1st, so sit tight for one more month! 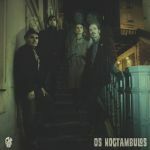 Os Noctàmbulos return with their first proper album, Corsica Garden, released by the folks at Evil Hoodoo. The LP comes hot off the heels of their split LP on Stolen Body Records with Plantains (now Heaters), giving us a much-needed full snapshot of their sound. Surf-y tendencies are prominent, not to mention a rugged, folksy twang to complement Nick Wheeldon’s distinct howl. Evil Hoodoo drops the LP on September 1st on limited edition vinyl! 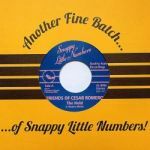 Snappy Little Numbers in Colorado is back with their second 7″ single from Friends of Cesar Romero. Surf-y, jangly garage pop gems are pressed to both sides of this platter, built with wiry guitars and bright, soaring vocals. A breezy, care-free sound, it’s all about the “Teisco Telstar Stomp.” Hear it below, but unlike these other records, you can get this 7″ right now at Snappy Little Numbers. So get to it! 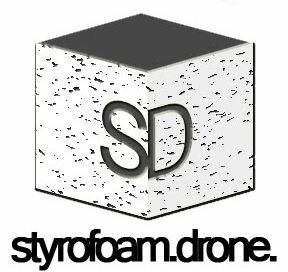 Posted on August 1, 2014 August 11, 2014 by styrofoamdronePosted in Hot Off the PressTagged 12XU Records, Evil Hoodoo, Friends of Cesar Romero, Goner Records, Gotobeds, hot off the press, Os Noctàmbulos, Snappy Little Numbers, So Cow.